Did You Miss Facebook's Spooky Search Tool? Well, It's Back. Did You Miss Facebook’s Spooky Search Tool? Well, It’s Back. Facebook still has a hidden search function. Read on to find out how to use it. Many of us have long ditched Facebook as our primary source of social media consumption. Or maybe that’s not true since Facebook, still, comfortably leads all other social media platforms in terms of number of users. Recently the hugely popular social media site reached over 1.8 billion active users. Regardless of the validity of that statistic, it is still not an easy feat to achieve. But did you know that Facebook had a creepy looking search tool back in the day that allowed users to know some “uncomfortable” news about themselves that they accidently shared with the world? Thanks to a third-party site though, the feature may well be back up and running. The usefulness of this Facebook feature depends entirely on how you answer the following question. Do you know how much personal information you have put out in the online world? Do you know how much of that information is still out there even though you thought you “ticked” it to be private? Well, if your answer to any of the above questions is a yes then you need to know more about this tool. Why Should You Care About This New Facebook Search Tool? First off, Facebook is still one of the most powerful platforms in the world today. It is more powerful than you realize for the simple fact that so many people, still, continue to use it not because it is any good but because there is no worthy alternative. And one of the most powerful features of the world’s most powerful social platform is its search function. But how much of that search function do you really know about? Do you understand all of its quirks? Just to take an example, did you know that you could still use the Facebook search function to “furtively investigate” for each and every photo that is posted online by single females? But not just any females. We’re talking about single females that a particular friend might or might not have liked. No matter which culture you come from, that is creepy in every sense of the word. Or maybe not since you actually liked that feature and were sad when Facebook “officially” discontinued the feature a couple of years ago. Yes, the feature we’re talking about here is the Graph search feature which Facebook launched back in 2013. The Graph feature, back in 2013, gave users the ability to snoop around and look at photos of anyone and everyone their friends, on Facebook, liked. The most interesting part of the whole scenario was how easy it was for users to take advantage of the new Graph Search and look at photos and videos of strangers without going through the trouble of befriending them. To use Facebook in its most privacy-violating form, you’ll need some help. Facebook, mostly, discontinued the service and put it on the back burner. Moreover, no official announcements were made either. The “official” stance currently is that Facebook wanted to focus on other functionalities and aspects of its search feature and hence had to get rid of Graph Search. Why Are We Here Then If The Graph Search Feature Of Facebook Was Basically Discontinued? We are here because, as it turns out, the service wasn’t completely put out of order. In fact, the Graph Search is still functioning as well as it could ever have. The only not-so-good part about the current “graph search” is that it is quite complex to use. Most online users on the internet would probably stay away from it for the simple reason that you have to dig a lot in order to get any value from the current “graph search”. Not to mention, again, that the “graph search” is longer pushed by Facebook as a separate/discreet online service. And here comes our superman. A Belgian hacker (more like ethical hacker if you’re into that sort of thing) by the name of Inti De Ceukelaire has built an online web interface that lets online users actually use the discontinued Facebook feature. Online users who want to get a taste of what the Graph Search felt like can simply go to the official website from the Belgian hacker and check it out for themselves. The web interface has been appropriately named Stalkscan because let’s admit it, the only reason you’re on Facebook is because you want to stalk people. And their friends of friends. Stalkscan might not get you “liked” but it will enable you to look at everything you always wanted to. Maybe. Will The Service Stay Online For Long? We can’t imagine a scenario where anybody would object to such an online service. Except, if you’re Facebook and you don’t want anyone else using your search function in any way or form. Besides, the Stalkscan service was just launched. Like literally just launched. The official launch date for Stalkscan is February 15, 2017, which is like today. Just a few hours ago if we’re being really precise. But what does the Stalkscan service exactly do? You already have an idea since we already told you that it brings back the functionality, to some extent, of the discontinued Facebook Graph Search feature. Moreover, it helps users to highlight and hence identify how much of their personal information or any other kind of information is still out in the open. In other words, it tells you exactly how much information Facebook users post about their own selves. The Stalkscan can actually become quite a useful online service since it would, perhaps, allow users to fully understand the implications involved with posting private information on the internet. This is what De Ceukelaire told a reporter from Motherboard in an interview that was conducted via email. The “ethical hacker” pointed out to the Motherboard reporter that Graph Search and all of its privacy issues were not something people had not experienced before. In other words, it wasn’t new. But it definitely felt like it never really managed to reach the common man that walked the streets, De Ceukelaire wrote to the Motherboard reporter. He further said that with his technical expertise and actions along with many other user-friendly tools, he wanted to reach out and target people who weren’t so tech-savvy. The reason for doing so, in his words, was that most non-tech-savvy people who walked the earth did not have any clue what they were posting online and sharing with the public at large. How Does Stalkscan Compare With Facebook Graph Search? The man behind stalkscan says his aim is to teach people how to protect their privacy. Let’s start off with the fact that the Graph Search function from Facebook was only available in the English language. Consequently, the search feature from Facebook did not become an instant hit in De Ceukelaire’s native country, Belgium and hence not many people there knew about the feature. Perhaps that fact should be extended to much of the non-english-speaking population of the world. That is, the non-english-speaking population of the world who have access to a computer and to an internet connection and have signed up on Facebook. However, with De Ceukelaire’s new tool, he at least made the tool more popular, relatively speaking, in Belgium where it garnered a good amount of attention from online users. The media in Belgium is currently going through a quite a shitfit. Various local reports in the media have revealed that the top privacy official in the country is going after websites like Facebook by launching a full investigation into how the website works. Additionally, local reports say, that the privacy official will also look more deeply in whether Facebook protects its online users in terms of security of their information and privacy adequately enough. A Couple OF Important Things You Should Note About Stalkscan And Facebook’s Other Privacy Features. Stalkscan isn’t a standalone online application. To put it another way, it cannot function without Facebook’s Graph Search. More specifically though, the more important thing to note here is that Stalkscan does not offer any new features of its own. It basically only enables users to make use of search functions that are already present on Facebook. That also ensures that Stalkscan will never be able to circumvent anyone’s privacy settings. 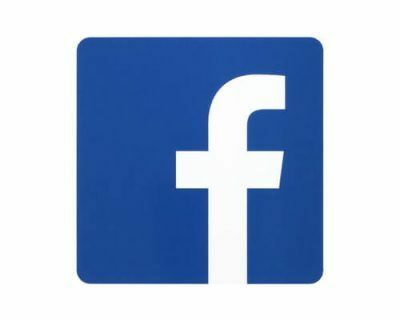 For the end user, it simply means that if you are not someone’s friend on Facebook (before using the Stalkscan service) and they have specifically set their settings so that Facebook only allows their friends to see what they post on the website, then Stalkscan can’t bypass that setting no matter what. What does Stalkscan do then? Stalkscan basically generates boutique search links which Facebook can comprehend and then execute. This, in turn, allows online users to input hyper-specific search queries which would be, in real life without Stalkscan, near impossible to make without using a service like Stalkscan. Think about it for a second now. How would an online user even come with with a sentence, let alone formulate the relevant search string, to say, search for something like: all online posted photos posted through Facebook by only single females which are “liked” by a friend? It’s pretty much impossible, right? And that is exactly where Stalkscan comes to the rescue. With Stalkscan anyone with half a brain can just perform two or three licks and voila, there goes all the stalking on could ever need to do in a lifetime. A spokesperson from Facebook, told a reporter from Motherboard via an emailed statement that like most online services (not including online services like Stalkscan) Facebook offered a search feature but that shouldn’t distract people from the fact that search function on Facebook was built with privacy in mind. The spokesperson from Facebook also said that services such as Stalkscan merely redirected users to Facebook’s existing search result pages. Moreover, he said, that as was the case with any search that was done on Facebook, users could only see the content that people had chosen to share with them. Does that also mean that most of the privacy concerns shown by online users who use Facebook on a regular basis are not only unfounded but also false? What Do You Exactly Get When You Use An Online Service Like Stalkscan? If you go to the official address of Stalkscan you can try the service out for yourself. It isn’t too different from what you would normally do on Facebook. Stalkscan only saves you a lot of headaches and more importantly time. But does Stalkscan violate anyone’s privacy settings? It all depends on how you use the service. IN fact, Stalkscan perfectly makes it possible for anyone to violate another person’s privacy if he knows what he is doing. For example, let’s say a Facebook friend attends an event and then posts about if on Facebook. Later, that same friend decides to unlist the related “events” button that is present on his/her public page in order to block stalkers from knowing where they have gone and have not gone. Then using Stalkscan, a user could let Facebook show him/her the list of all the events that friend has been to in the past even though he/she unlisted the events button from his/her public page. In other words, Stalkscan can easily let you know which parties they have attended when you search their profile on Facebook. If that is not a violation of privacy then we don’t know what is. What Can You Do To Protect Yourself Against Stalkscan? 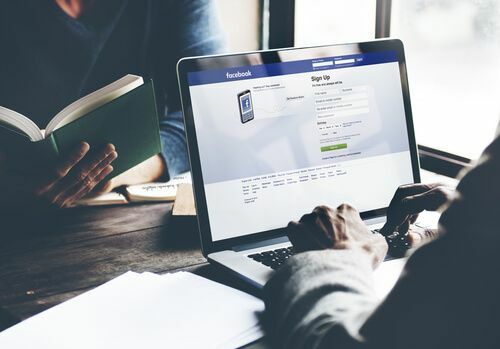 Believe it or not, but there are certain steps you can take to make sure that any personal information that you post on Facebook and then hide, remain hidden and hence does not make its way onto Stalkscan. In fact, De Ceukelaire, himself listed out some pointers and best practices to make sure your online information was kept under tight wraps. He told the reporter from Motherboard that he would advise online users to always check themselves first when they log in into one of their friend’s Facebook account. 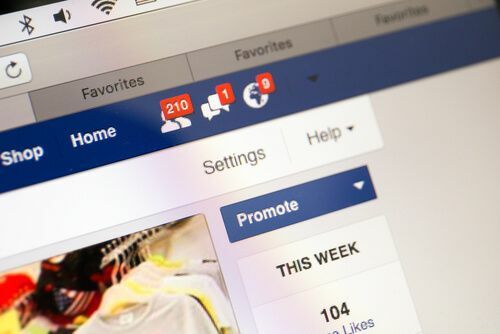 He further wrote via email that if they find stuff on their friend’s Facebook account that they don’t want to show, then they should go ahead and remove tags along with “likes” and photos from their Facebook profile. This method would at least allow users to know what other people can and cannot see. The official stance from Facebook on the issue is completely different from the one that De Ceukelaire has. A Facebook spokesperson recently stressed the point that the Facebook allowed users to take full control of their online privacy if they wanted to. The spokesperson from Facebook wrote in an official statement that Facebook offer a variety of tools to help people control their private information. That private information included the ability to choose an audience for everything they posted on the platform. This feature also limited the visibility of their past posts to only their friends. The Pirate Bay Will Get Blocked. Worldwide. Eventually.